Pacific Electric no. 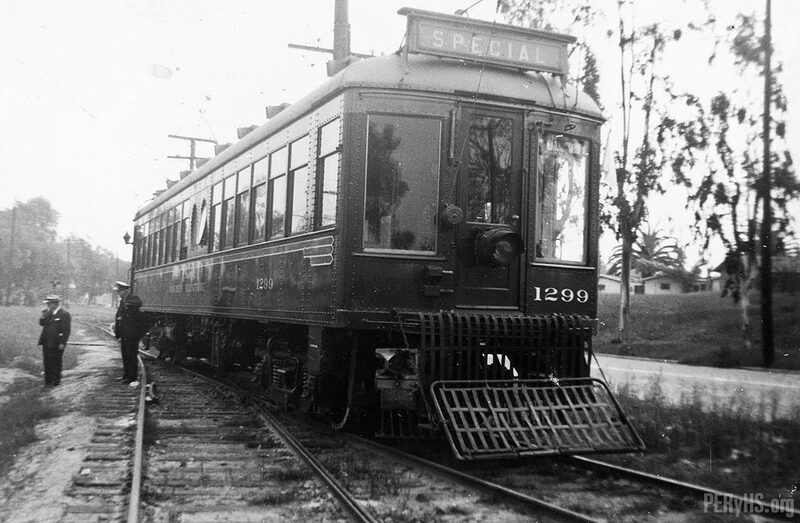 1299 pauses over switch points in this image that was possibly captured in the Torrance area. The conductor and a passenger stand alongside the right-of-way as the latter enjoys a smoke. Look closely at the “passenger” in this picture, then look at Oscar Smith, 3rd from the left in the second picture down (redux). Both are taken in Torrance, only a couple of hundred yards apart with the 1299, almost certainly on the same trip. The passenger is no passenger, its the Superintendent! Besides, the rules didn’t allow passengers to detrain between stops.